Original photograph in private collection. 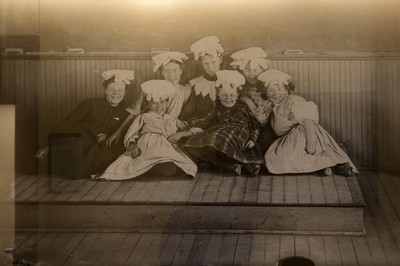 Elmer Thompson recorded this view of students at the Flom School in Osnabrock Township, North Dakota. Thompson was, among other things, working as a school photographer at the time the picture was taken.